Sooooo . . .I missed the full moon because who knew that corporate tax returns are due on a completely different date than personal tax returns? It seems fitting for this particular oil to have its last hurrah on Friday, the 13th though. I will be ending it tomorrow! 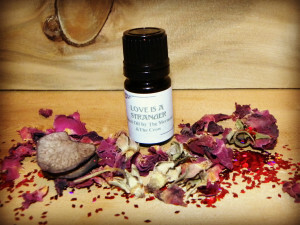 Love is a Stranger is my Limited Edition Valentine’s Day Ritual Fragrance Oil. 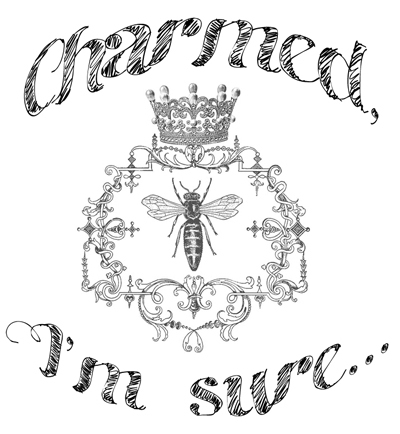 The smell after a night of burgundy wine soaked raucous debauchery. A lover’s leather jacket. An indulgent dessert of sugar cane, bergamot, cardamom, clove, cinnamon coconut milk and vanilla orchid. A warm, exotic bed made from luxious dark oud wood, teakwood and cedar, strewn with rose petals. A brazier burning with cedar, patchouli and sandalwood. Fortune favors the bold. Do you dare? 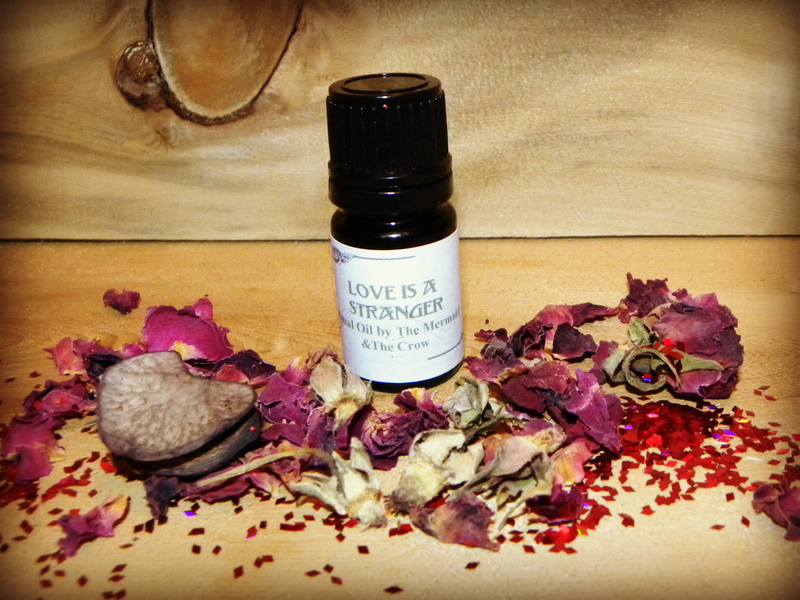 This ritual fragrance oil can be used to entice love where you need it most whether it’s to keep the bonfires burning in a long term relationship, find a new mate, get the recognition you’ve been looking for, self love and acceptance or even welcomed flirtation from a stranger. Perfect for all genders and orientations. The oil is Worked over while I am creating it. It is skin safe and can be used on pulse points as a regular fragrance oil but it can also be used as a ritual oil for your Work.